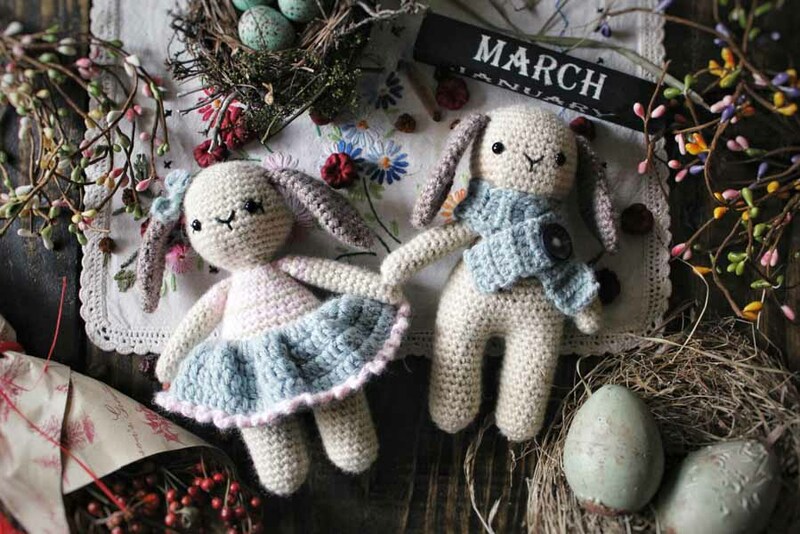 Elise Speed is the creator of Le Petit Saint Crochet where she makes, writes, photographs and films all about whimsical amigurumi, creative crochet, and running a handmade business. Her passion is bringing a childlike joy into the lives of all around her. She lives in beautiful North Carolina with her husband, children, and adored rescue dog, Jersey-boy. Hello! I’m Elise from Le Petit Saint Crochet! I began crocheting in late 2016 as a way to deal with my son’s serious health crisis. I was mentally unraveling from the stress of the situation and desperately needed something that brought a little joy and distraction into my life. I stumbled upon crochet while scrolling on Pinterest late one evening. I was instantly taken with a beautiful granny square blanket and haven’t looked back. I mostly made colorful granny square blankets the first year and then I discovered amigurumi. Since then my crochet world revolves around making, photographing, writing, and filming amigurumi! Each toy is truly a labor of love. 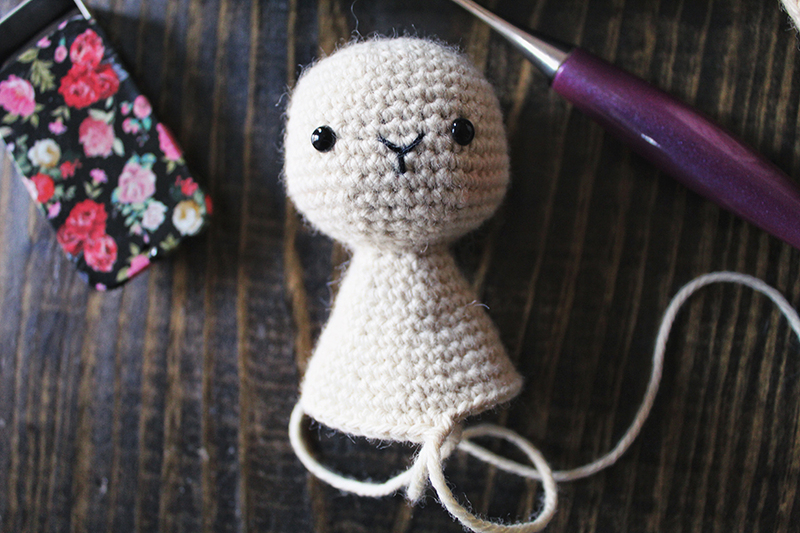 As I crochet, their names and personalities begin to reveal themselves and I enjoy writing little stories about them! My passion is bringing a little happiness, joy, and whimsy into the lives of those around me! The Bitty Bunnies: Benedict and Beatrice are a brother and sister pair. They are huggable, lovable and adorable! I hope you enjoy making them as much as I did creating them! Using the listed yarn, hook sizes, and my personal gauge, the Pocket Bunnies are 6 1/2 inches tall and 2 1/4 inches wide at the hips. 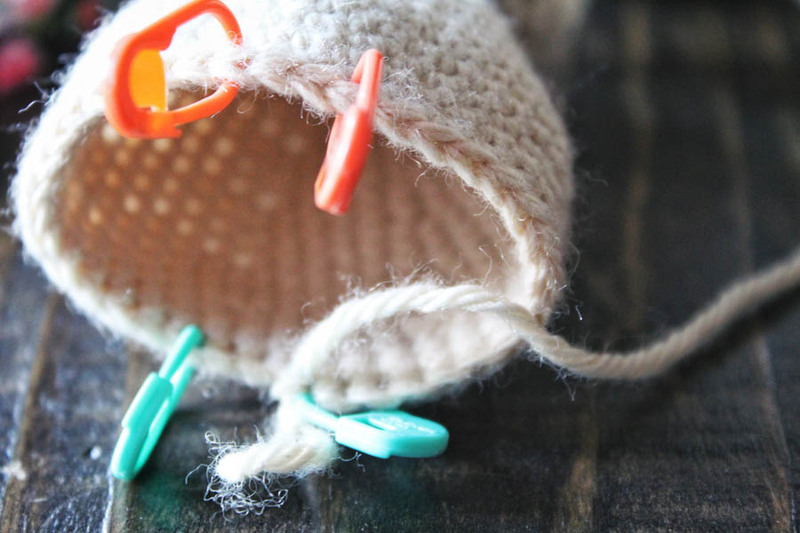 -Mark the beginning of each round with a stitch marker! -Keep an accurate count of your rounds and number of stitches per round. 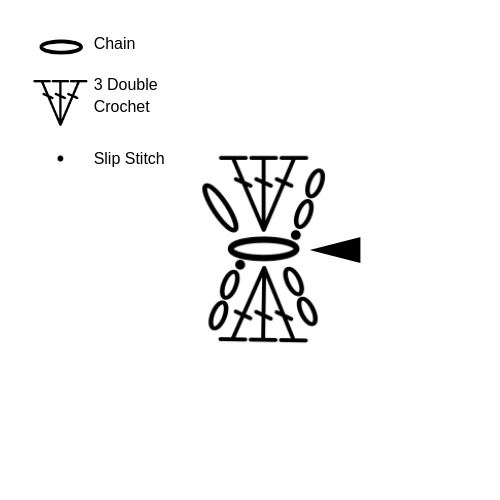 Divide legs by finding the front, center two stitches and the back, center two stitches. 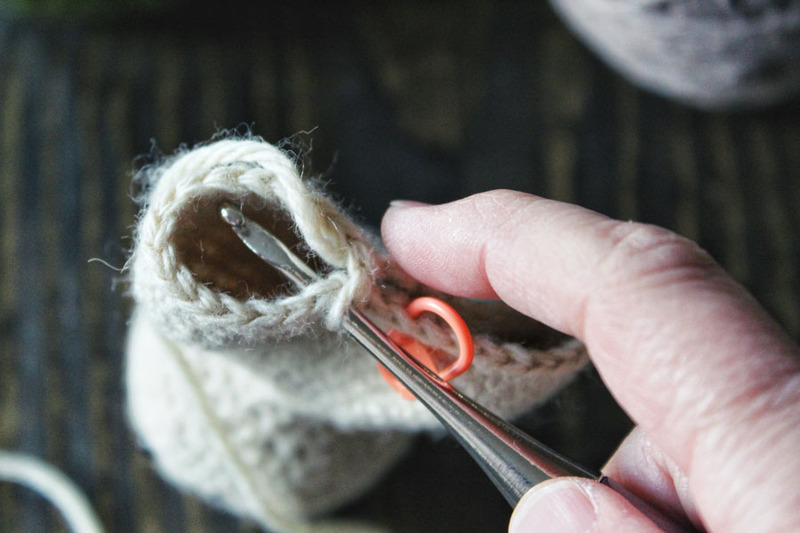 Use stitch markers to mark each section. You will have 2 st in front, 2 st in back and two 16 st legs = 36 st total. 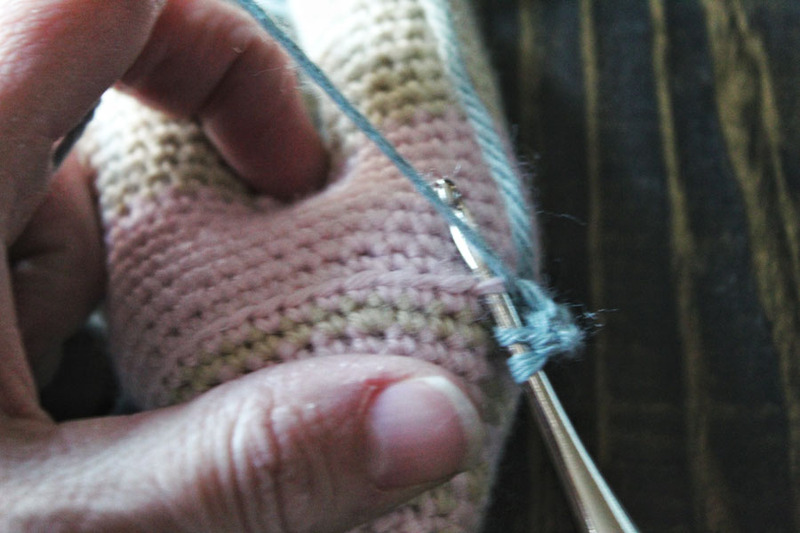 Start at the back of the body when beginning to crochet the first leg. Fasten off leaving long tail for closing. 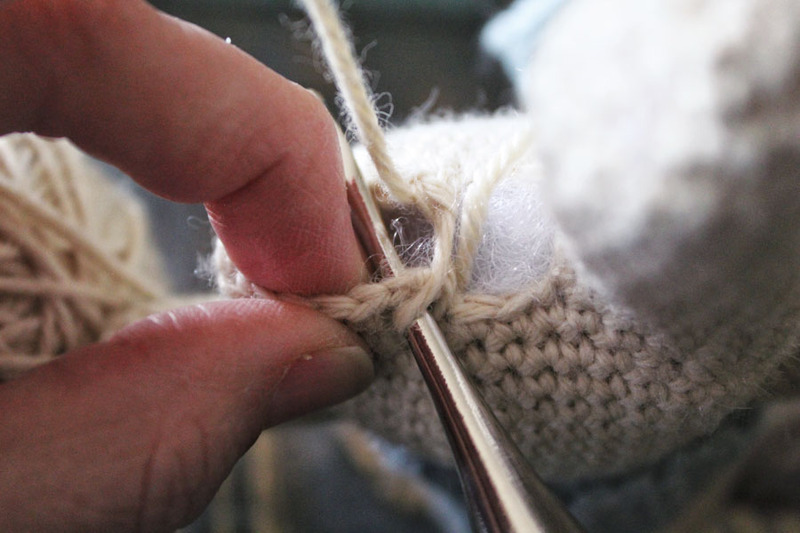 Take yarn needle and stitch through the front loops of each of the remaining six stitches. Pull taut to close the leg. Weave in yarn ends. 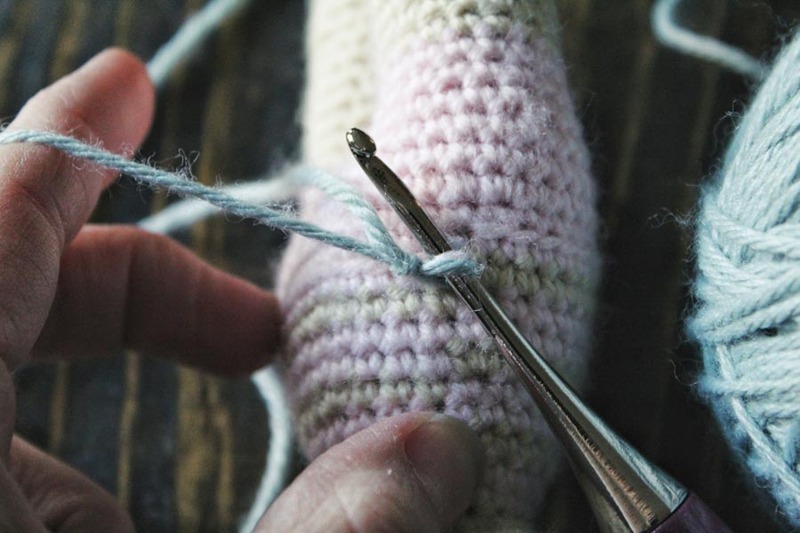 For leg 2, attach the yarn at the back of the leg but leave an extra-long tail for sewing up the space between the legs after both legs are complete. Repeat instructions for the first leg. Do not stuff ears. Fasten off leaving a long tail for joining ears to head at round 7. Add a little water to ears after sewing to help them lay down if needed. Fasten off leaving a long tail for joining arms to body at round 21. Lightly stuff the arms and leave the top of the arm, near the opening, unstuffed. This keeps the arms from sticking out rather than laying nicely at her sides. Fasten off and weave in ends. Add a decorative button to secure the scarf together. Fasten off and weave in ends. Wrap yarn around middle of bow, leave a long tail for sewing bow next to ear. My hope is that little Benedict and Beatrice will bring you a little smile this spring! I would love to connect with you! You can find me at my blog where I share all about whimsical amigurumi, creative crochet, and running a handmade business. You can also find me on Instagram @lepetitsaintcrochet! 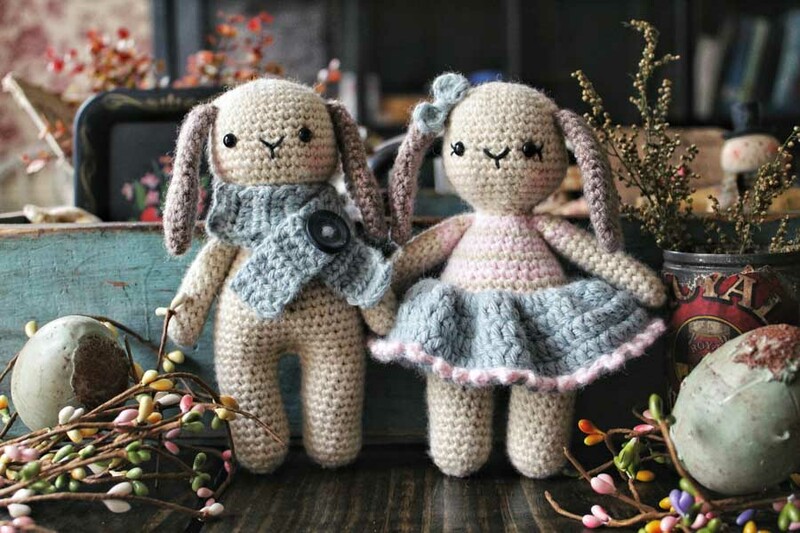 Please tag me in any of your Bitty Bunnies projects @lepetitsaintcrochet so that I can see them!